Treat Yourself! 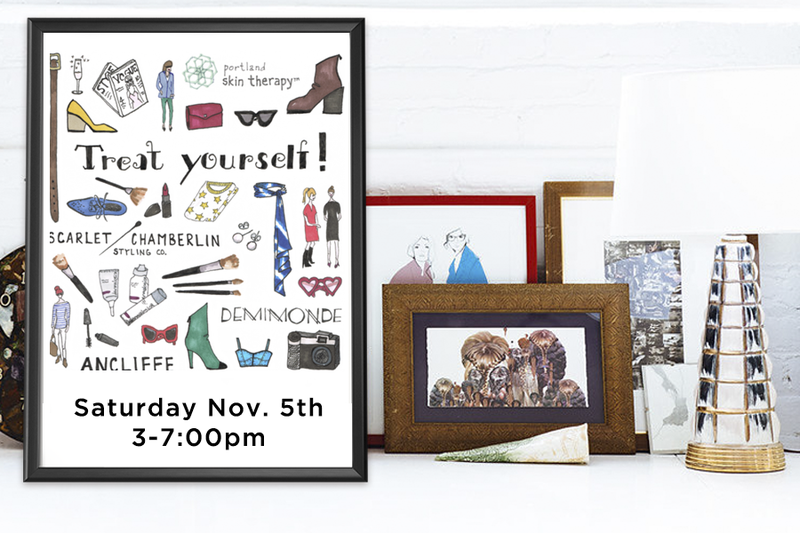 Saturday 11/5 | Scarlet Chamberlin Styling Co.
I’m hosting a pre-holiday soirée in my new styling studio in downtown Portland featuring local businesses I adore for their knowledge, craft, style and customer service. They are just as excited to celebrate you as I am! Meet talented clothing designer Rachel Ancliffe. I describe her work as “elegance with an edge”. She will be showing her most recent apparel line Ancliffe along with resale designer & vintage items from her own collection. Rachel has an eye for collecting and creating pieces that can be styled in multiple ways. We can help you find a unique piece for the season of festivities ahead! Portland Skin Therapy will have skin care products & makeup to protect your radiant skin while brightening your look. Owner Julene Passmore shares her 20 years+ of experience which includes the science to support why she recommends products. She understands that we want effective, but quick, routines to help maintain a healthy glow all winter! Rachael Donaldson of Demimonde will display her stunning, handmade jewelry line. This local designer makes intricate beaded jewelry for every day, special occasions, and gift giving. Her pieces are works of art and very fashionable. In fact, a decade ago she started what is now a huge trend in semi-precious jewelry. Come see the beauty she creates with gemstones and metal for yourself. I will be available for any styling questions, tips and advice. 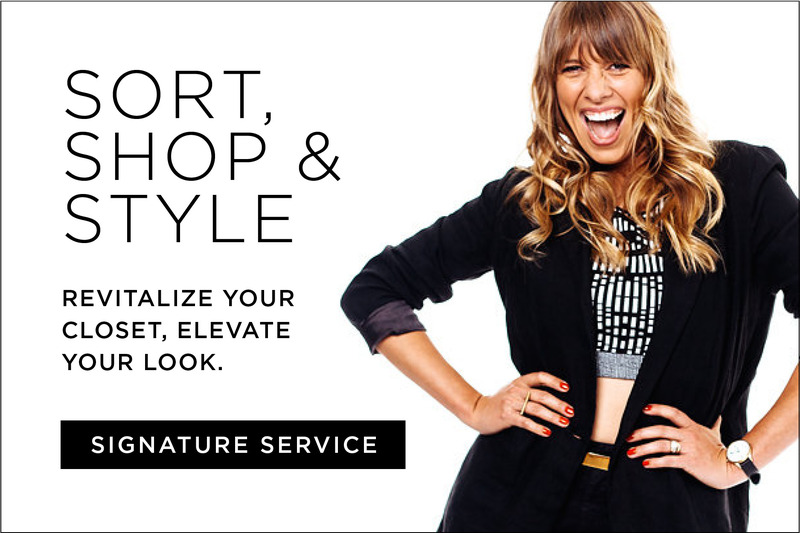 You know I’m all about styling your separates for work, play and every day. We can chat about all of it. 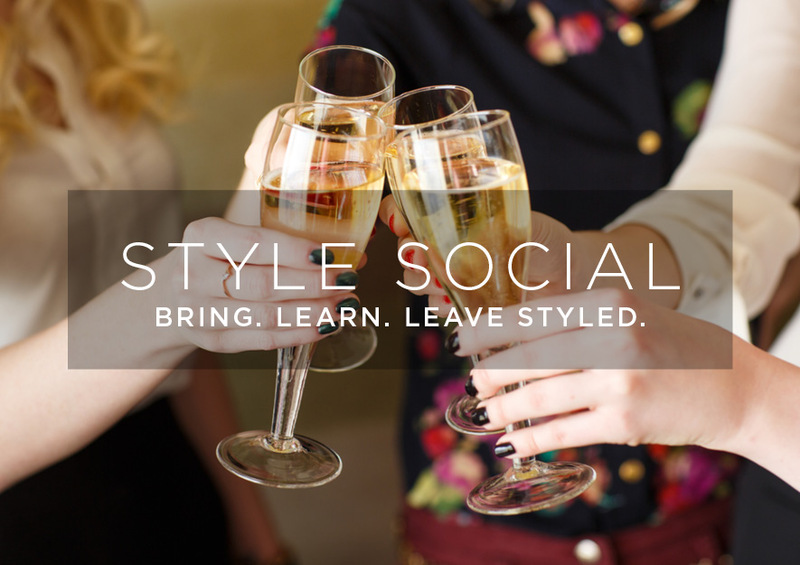 I’ve got new styling packages, a new website, a new Studio Manager, and lots of new news to share too! To celebrate, the first 20 people who arrive at the event will receive a deluxe swag bag full of beauty samples & valuable discounts on clothing, jewelry and services. Be sure to get there early! I look forward to having you here. My studio is a dream come true creative space and you helped me make it happen. Feel free to stop by on your own or with friends who are interested in joining the fun.